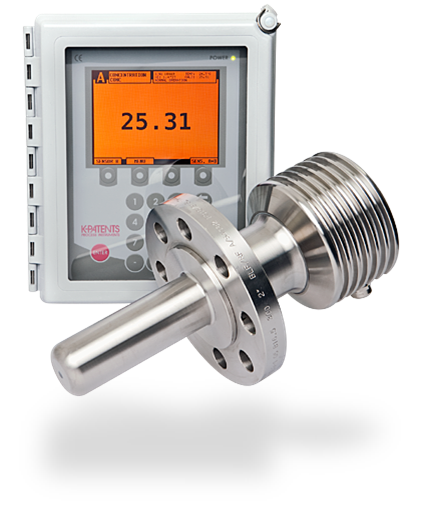 K-Patents is the leading supplier of process refractometers for industrial process monitoring and control. The refractometers are used for measuring the concentration of solutions in all types of liquids and mixtures. 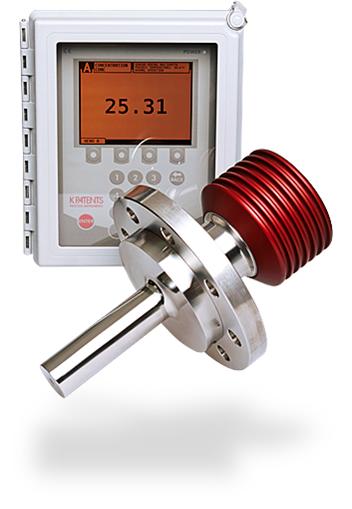 A K-Patents refractometer provides a reliable and accurate real time measurement, ideal for process optimization and control. Product quality and batch times are more precisely controlled and costs are reduced. The time consuming and costly sampling procedures are replaced with a continuous inline refractometer measurement, that is virtually service and maintenance free. Model PR-23-GC is designed for the general industry small pipeline and bypass line ap­plications. The PR-23-GC sensor is easy to install in the process either directly in a pipe elbow by a Sandvik coupling connection or in a straight pipe via a Wafer flow cell or a Pipe flow cell. 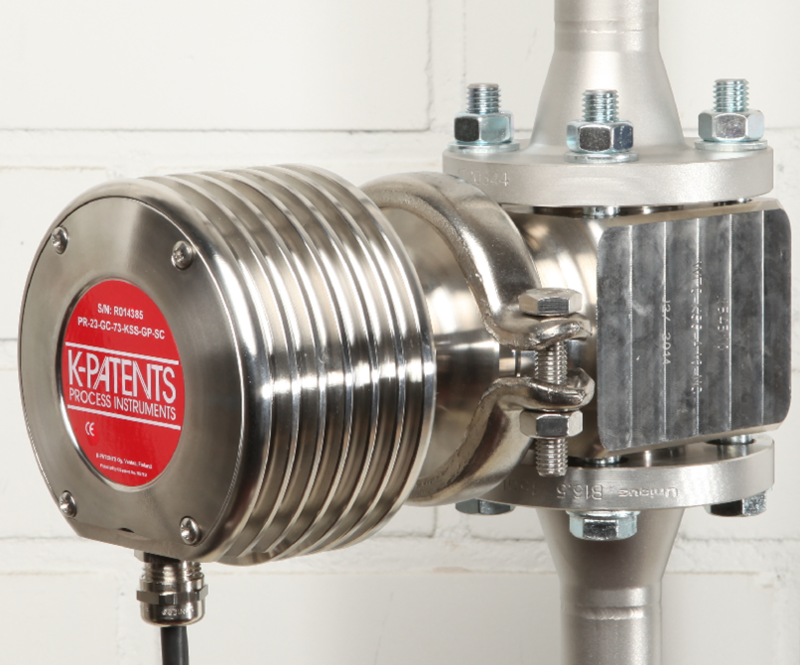 The flangeless Wafer flow cell (0,5, 1 and 1,5 Inch) is a compact alternative to traditional flanged pipe flow cells. 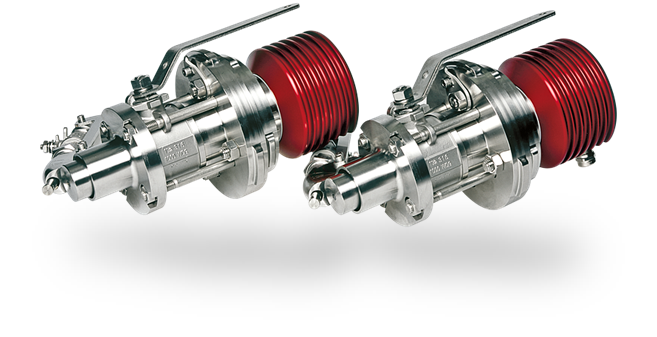 The Wafer refers to a flow cell body that is installed between DIN, ANSI or JIS piping flanges with bolts and nuts. The Wafer flow cell is a one-piece body con­struction with no welds. If the harsh environ­ments or aggressive process fluid require a better material grade against chemical corrosion, higher alloys and special wetted parts materials are available. Both flow cell mounting designs create optimum flow velocity on the measurement surface providing a good self-cleaning effect. The flow cells have also an optional automatic wash system capability. Intrinsi­cally safe and hazardous area certification is provided for hazardous areas. Model PR-23-GP is a heavy-duty industrial process refractometer model for accurate in-line measurement of liquid concentration of a wide range of chemicals and other liquid phase mediums. The Sensor is suitable for large pipes, tank and reactor installations, such as evaporators and crystallizers. 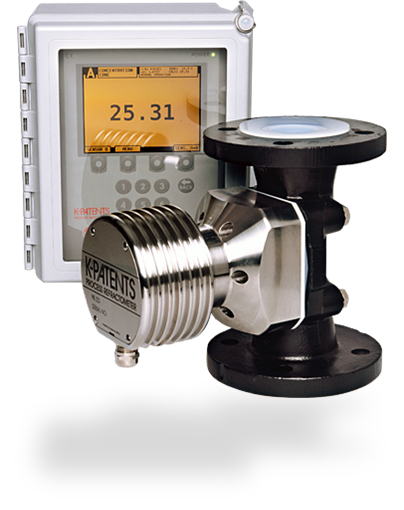 The Model PR-23-GP determines the concentration of dissolved solids by making an optical measurement of a solution’s refractive index. The measurement accuracy is not influenced by particles, bubbles, sugar crystals, seeds, fibres, colour or temperature changes in the process medium. Ethernet TCP-IP server built for data logging, uploading parameters and software. Dual connection of two sensors PR-23 to a single transmitter provides an additional measurement that may be used in another. 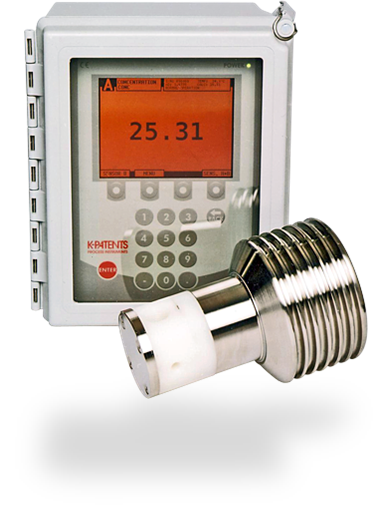 The K-Patents PR-23-GP does not require any recalibration or regular maintenance. The calibration can be verified using standard refractive index liquids and a built-in verification procedure. Model PR‑23‑RP is a heavy-duty refinery model designed to meet the unique requirements of the refining and petroleum industries. 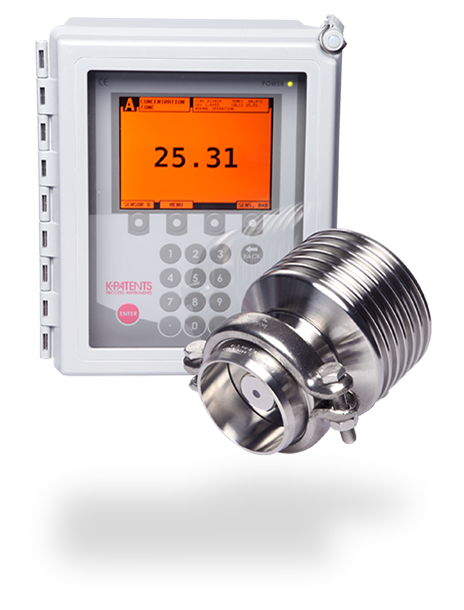 Typical applications include accurate liquid concentration measurements, e.g. acid in alkylation, glycol or amines in gas processing and multi-product (crude oil, fuel oil, diesel) interfaces in transfer operations. The Refractometer sensor is installed in the process, either directly by welding stud, or via a 1 inch, 2 inch or 3 inch cross flow cell. Due to the sensor’s rugged, innovative non-weld sensor body, and self-cleaning or optional automatic wash system capabilities, the PR-23-RP functions accurately and reliably in harsh refinery conditions. Intrinsically safe and hazardous area certification is provided for hazardous areas. Model PR-23-RP is supplied with user-specified supplementary tests and documents as required, such as metallurgical and material hardness certification, API recommended tests and welding documents, material traceability certification and the positive material identification (PMI) test. A factory acceptance test (FAT), site acceptance test (SAT), and customized drawings stating client specific information are also available on request. aggressive liquids as well as ultra pure fine chemicals. Model PR-23-W determines the Refractive Index (R.I.) of the process solution by measuring the critical angle of refraction, which changes with concentration. The critical angle is measured by a digital CCD-element. Suitable for HCl, H2SO4, HF and other corrosive plating solutions. Suitable for ultra-pure fine chemical processes where there must be no contact with metal parts. For large-scale production and in large pipes that are 50, 80 or 100 mm / 2 Inch, 3 Inch or 4 Inch. Sensor wetted parts material PTFE (Polytetrafluoroethylen). Valve body lining material FEP (Fluorinated ethylene propylene). For smaller pipes from 6 mm. Sensor wetted parts materiel PTFE (Polytetrafluoroethylen) or PVDF (Polyvinylidenefluoride). The SAFE-DRIVE™ Retractable Process Refractometer Model PR-23-SD, is a heavy-duty industrial process refractometer model for accurate in-line concentration measurements in process pipe installations. It’s a safety design that consists of a sensor and weld-on valve body and retractor. This design ensure a safe insertion and removal of the sensor under process conditions without having to shut down the process. Feeding low concentrations of black liquor solids to a kraft chemical recovery boiler burner can cause a steam explosion. 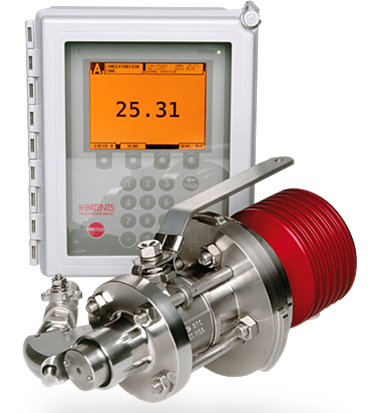 A digital divert control system is required to ensure safe operation. 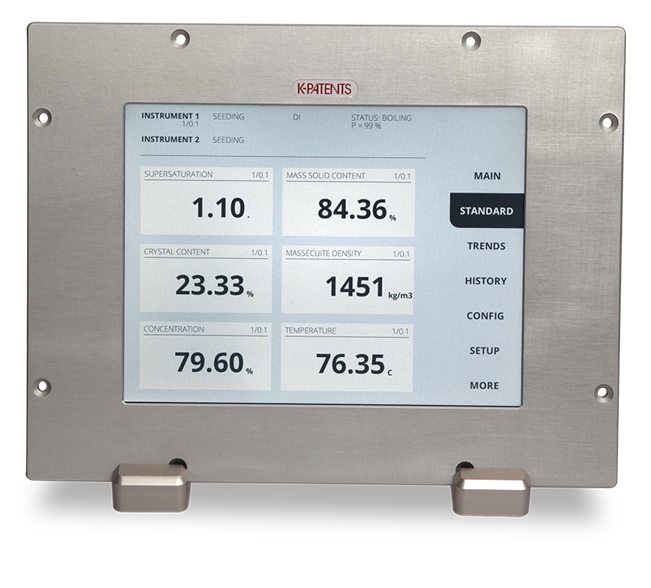 The K-Patents digital divert control system DD-23 complies strictly with all recommendations of BLRBAC. The DD-23 system includes two SAFE-DRIVE™ Retractable Process refractometer sensors in the main black liquor line, and two Indicating transmitters and a Divert control unit in an integrated panel. Each refractometer is a completely independent measurement system. Each system sends a separate mA output signal, which can be used by a control system or a DCS. The divert decision is controlled by the divert control unit. The built-in logic provides three levels of decision rules for tight control (1) alarms, (2) status of refractometers and (3) divert decision. 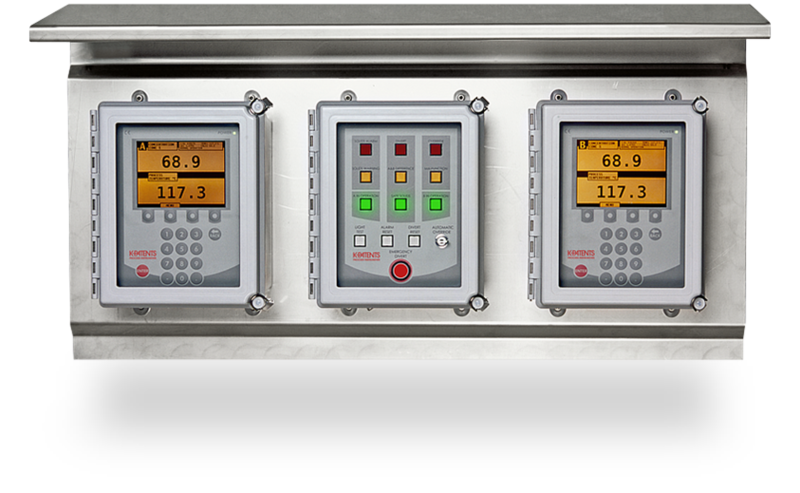 A Remote Divert User Interface DI brings a compact and easy-to-use remote display to the control room. This enables centralized management of all divert system data. Remote Divert User Interface DI features Real-time measurement values and diagnostic information, system and instrument status, warnings and alarms, and full event log records. The panel below contains a header wash key and push buttons for divert and divert reset operations. SeedMaster SM-3 is a unique third generation crystallization transmitter and seeding device to be used with the K-Patents Process Refractometer. The SM-3 allows for accurate in-line and real-time monitoring of supersaturation and crystal content over the complete process of crystallization, and implementation and control of automatic or manual seeding. The SM-3 can be connected to one or two K-Patents Process Refractometer sensors and to one or two crystallizers. Supersaturation is calculated on-line taking into account all parameters of the supersaturation function. Mother liquor concentration and temperature is provided by K-Patents Process Refractometer, and massequite density and solids content by nuclear or microwave transmitters. 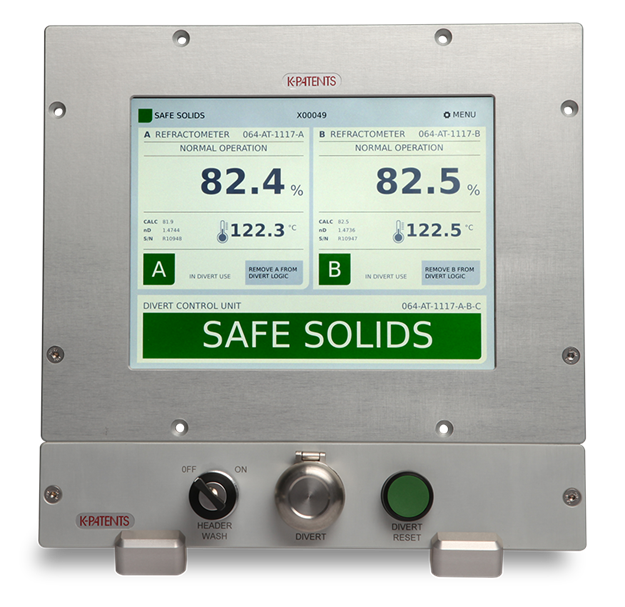 SeedMaster SM-3 then provides in real-time the following six massecuite parameters per each crystallizer: Supersaturation, Massecuite Solids Content (%), Crystal content (% by vol. ), Mother Liquor Purity (%), Mean Crystal Size (mm).